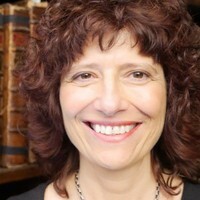 Helen Weinstein, Director of Historyworks, was involved with shaping the project from the inception, discussing with the Professor Andrew Mcrae, (the PI of the AHRC funded project), how best to have engagement and impact for the academic team. We came up with the idea that in the process of making the short films for teachers and students to showcase original sources of the Stuart era, we would also coach the academics in how best to present themselves to camera, helping them shape their own scripts and learn how to be 'natural' on camera, so that these short films with the academics describing their individual roles in the Stuarts-Online project and describing their academic interests for a wider audience, could be used on their institutional websites to both promote the project, and also to act as 'showreels' for the academics to showcase their communication skills in front of camera to engage potential future media opportunities! One of our workshops was with a renowned documentary producer and director, Christopher Spencer, who was brought in by Historyworks to work alongside us and the academic team to teach the academic team more about the grammar of television, and to produce a short 'advocacy film' which we filmed in the Old Library of Jesus College, Oxford. We chose this setting because it had a 'warm' light and although rather cold for comfortable filming on the day, created continuity between the different speakers and was easy on the eye! Because we made the advocacy film after we had recorded all the short individual films, it meant that the academics had become more used to the recording process and found it easier to interact with one another when we posed them around the table discussing a document to show students and teachers that there can be multi-valent interpretations. 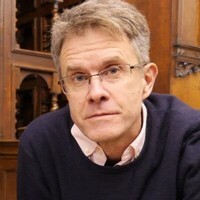 Andrew McRae is the Professor of Renaissance Studies and Head of English at the University of Exeter. Professor Paulina Kewes is the Helen Morag Fellow and Clarendon Associate Professor of English Literature at Jesus College, University of Oxford. 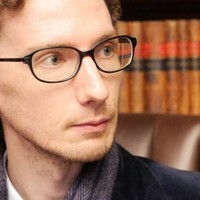 Dr John West is Assistant Professor in Early Modern Literature and Drama at the University of Nottingham. 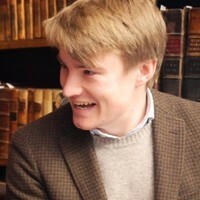 He previously worked at the University of Exeter, where he was Research Associate on The Stuart Successions Project. 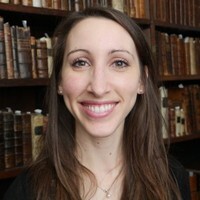 Anna-Marie Linnell has been working on a doctoral study at the University of Exeter as part of the The Stuart Successions Project. Her thesis investigates the representation of royal consorts from the accession of James I in 1603 to the accession of Queen Anne in 1702.